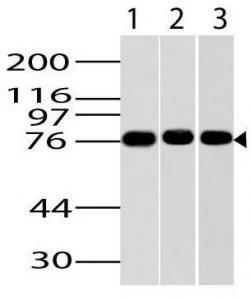 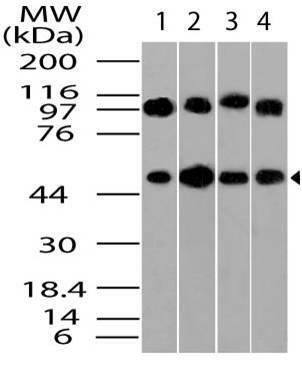 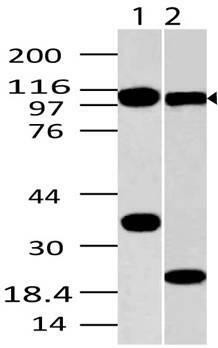 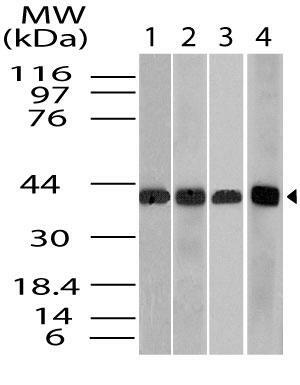 Recognizes a protein of 21kDa-25kDa, identified as retinol binding protein (RBP). 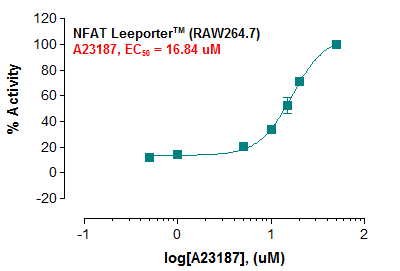 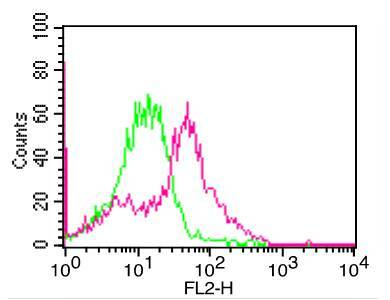 Its epitope localizes between aa 74-182 of human RBP. 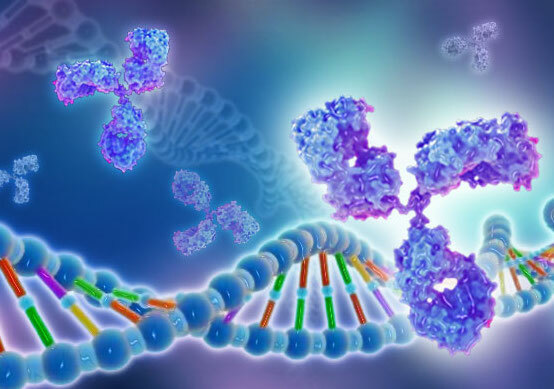 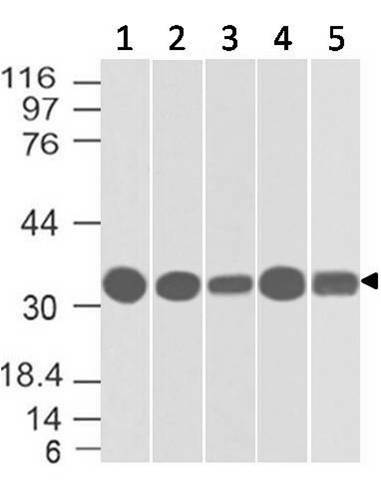 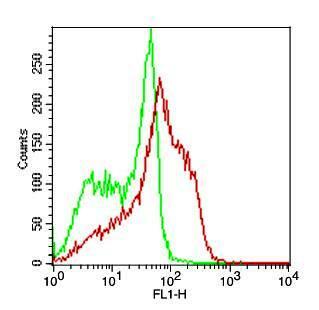 This MAb recognizes reduced and carboxy-methylated RBP (RCM-RBP) as well as the circulatory RBP but not the native RBP, thereby suggesting that its epitope becomes accessible either on unfolding or upon binding of RBP to transthyretin (prealbumin). 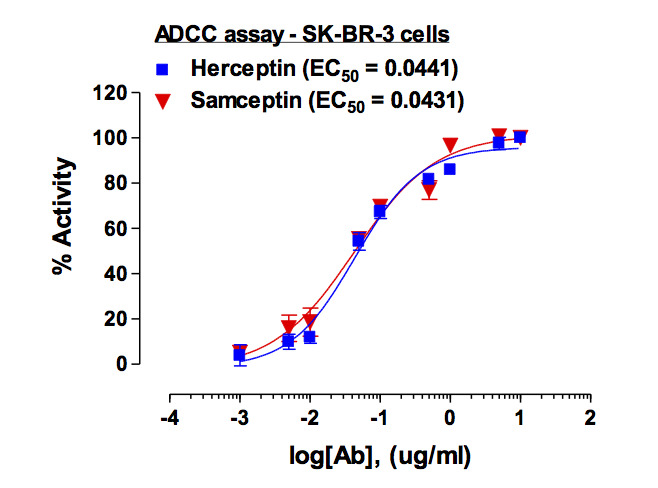 RBP is responsible for distributing retinol from the retinoid stores in the liver to the various target tissues. 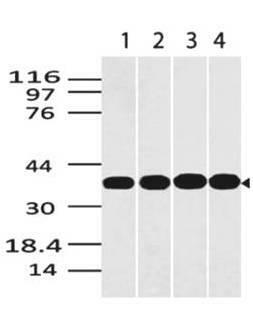 Once secreted into the blood with bound retinol, the vitamin carrier circulates complexed with transthyretin prior to vitamin delivery at the plasma membrane through a receptor-mediated mechanism. 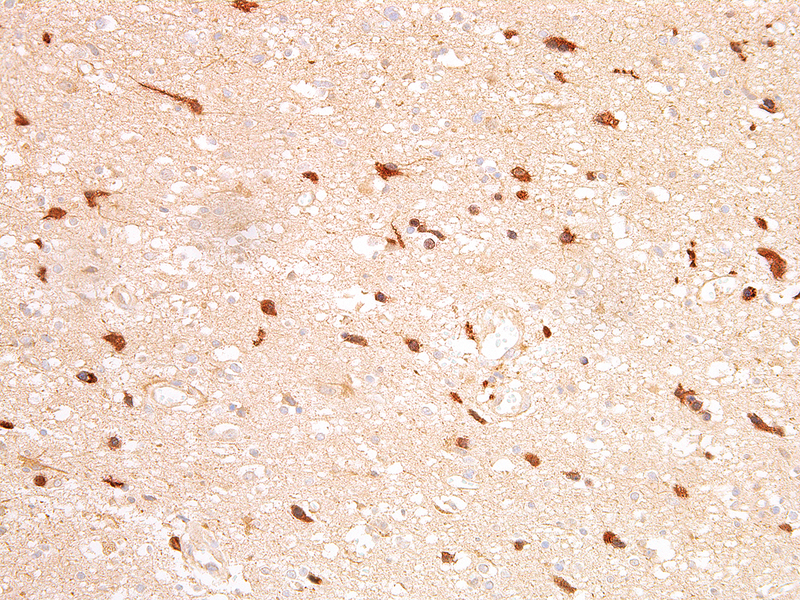 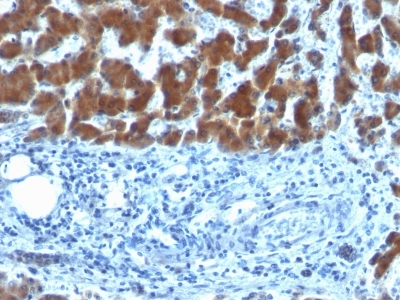 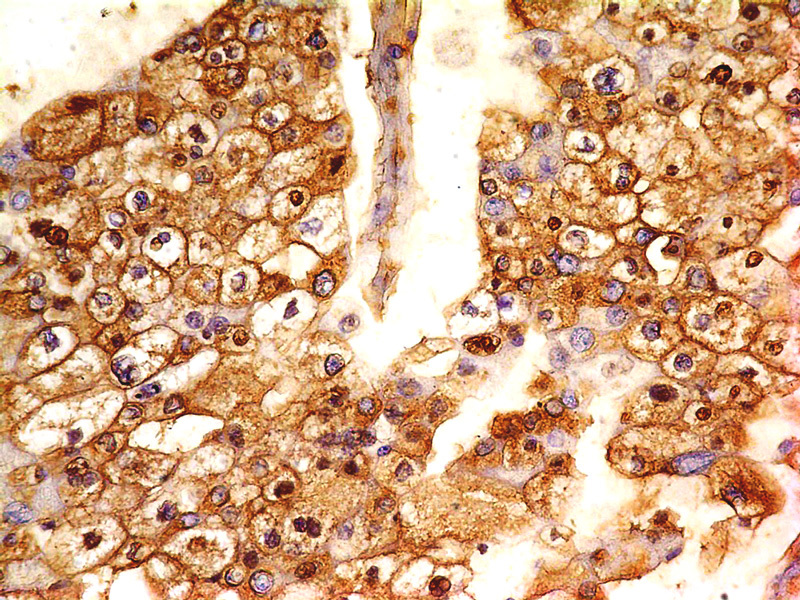 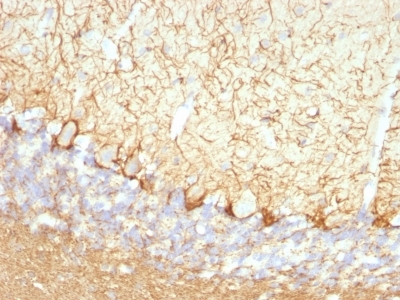 Immunofluorescence (1-2µg/ml); Immunohistology (Formalin-fixed) (0.5-1µg/ml for 30 minutes at RT); (Staining of formalin-fixed tissues requires boiling tissue sections in 10mM Citrate Buffer, pH 6.0, for 10-20 min followed by cooling at RT for 20 minutes); Optimal dilution for a specific application should be determined.